Say hello to long and luscious lashes with The Ultimate Lash Lengthening Duo (RapidLash & Magnifibres). The two products work together to enhance the look of your natural lashes, making them appear longer, fuller and thicker, leaving them beautifully defined. With both items being easy to apply, this fabulous duo will help you to ditch the falsies and go au naturale. 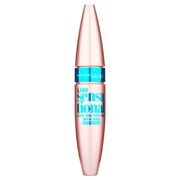 RapidLash Eyelash Enhancing Serum 3ml: Safe and effective, this eyelash enhancing serum is clinically proven to give results in as little as 30 days. Formulated with the HEXATEIN® 1 COMPLEX, a blend of ingredients exclusive to RapidLash, it strengthens and rejuvenates lashes, preventing breakage and promoting flexibility and durability. It nourishes your lashes and boosts their protein structure, replenishing the building blocks of growth. Lashes will appear shinier and healthier, with improved lustre and length. Simply apply along the lash line once a day. Magnifibres Brush-on False Lashes: Say goodbye to falsies with this no glue, no fuss and no mess alternative. The 100% natural fibres create captivating, luscious lashes that are glamourous yet natural-looking. 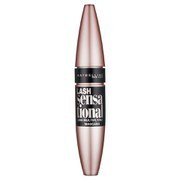 Simply apply your usual mascara, then while it's still wet apply the Magnifibres onto your lashes. Wait 30-60 seconds, then add another coat of mascara to conceal the fibres. Voila! Show-stopping lashes are now yours.